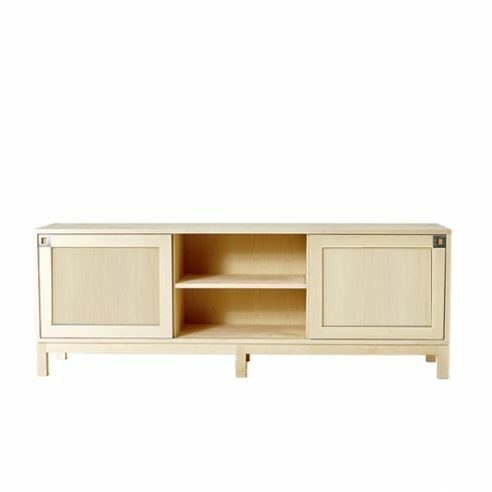 Sundre Credenza with birch sliding doors and open centre section. The centre section can be fitted with hinged doors or twin drawers. A limestone top can be ordered as an option.